Lentil is something of an Internet sensation. Born with a cleft palate and cleft lips, Lentil received help from oral surgeons at Penn’s School of Veterinary Medicine and John Lewis and Alexander Reiter of Penn Vet’s Dentistry and Oral Surgery Service. 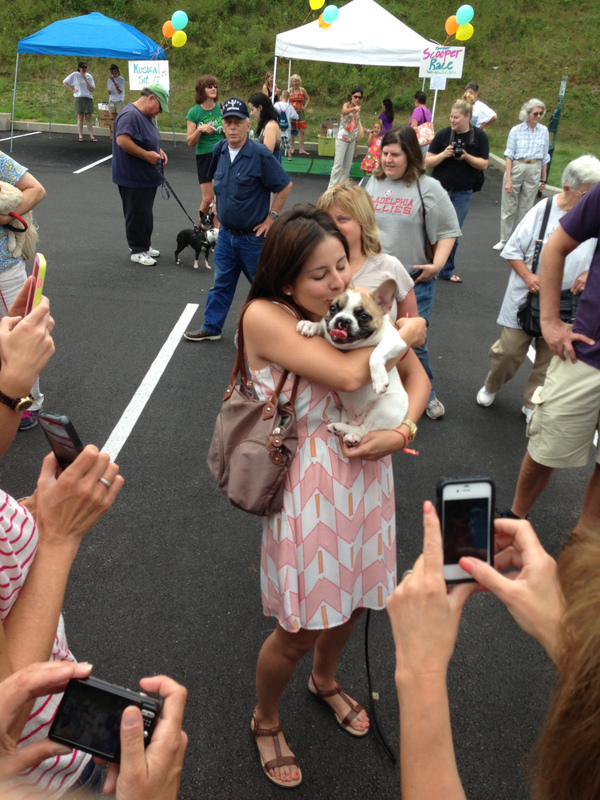 I drove an hour to meet this little guy at the Hope Veterinary Clinic in Malvern where he hosted a kissing booth. It was worth it! Read more about Lentil in the Penn Current here or you can find him on Facebook to see what the fuss is about.